A lawsuit recently filed by Walter Luers, Esq., on behalf of John Paff, against the Ocean County Prosecutors Office (OCPO) may soon bring additional answers to questions that have lingered for almost a year. The lawsuit is online here. 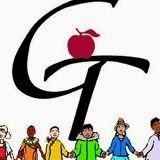 Those questions are pointed as to what happened with Galloway principal John Gibson that he abruptly began paid leave absences from work and then later retired without again, according to payroll records, stepping foot back in the school district. According to Paff's website which has recorded the lawsuit filed, "The Ocean County Prosecutor's Office (OCPO) has acknowledged that it had prepared a June 6, 2014 investigation report into allegations made against John Gibson. The OCPO also acknowledged that Gibson was interviewed at the Little Egg Harbor Police Department on January 27, 2014, only a few days before Gibson took his leave of absence. According to the prosecutor's December 8, 2014 letter that denied access to both the investigation report and the video of the interview, the interview regarded "Mr. Gibson's involvement with a minor." In May 2014, the Ocean County Prosecutors Office confirmed via a response to an Open Public Records (OPRA) request to Paff that "this office cannot release the contents of this file without a protective court order after an in camera review and a finding of "good cause" by the Court. See N.J.S.A. 2A: 82-46(c), which after further research of the NJ Law Library pertaining to that particular statute it explains an exemption regarding disclosure of documents pertaining to "child victims of crime of abuse". The letter to Paff came after an initial OPRA request and email response on April 29, 2014 by the OCPO to Paff. According to Paff, the OCPO offered and further confirmed in their response, that an incident occurred in Little Egg Harbor Township, NJ that involved the Galloway Principal even though Paff's request did not mention any specific town. Also according to Paff's website which has blogged additional information regarding Gibson, he "has been receiving monthly net pension checks of an undisclosed amount since May 1, 2014. Before deductions, however, the gross monthly pension amount is $7,834.50." Report Online Here. The lawsuit is pending in New Jersey Superior Court. All this and then another assistant principal mysteriously leaves suddenly this month with NO EXPLANATION. Something strange is going on there!! !